If you’re into using weird sounds or post production, UVI has a great deal for you. Currently they are selling Complete Toy Museum with a 40% discount. 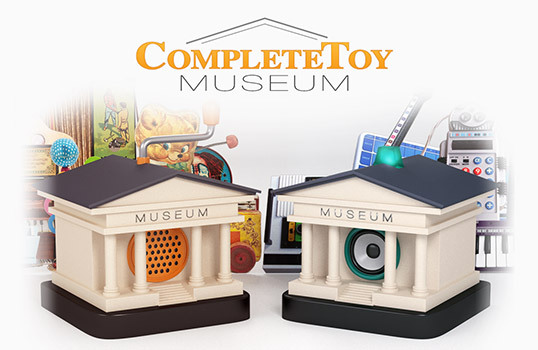 Complete Toy Museum consists of 2 sample libraries, Acoustic Toy Museum and Electric Toy Museum. The first contains hundreds of musical toys meticulously multi-sampled at 24-bit 96kHz using world-class equipment. Everything from toy pianos, guitars, bells, xylophones, baby drums, melodicas, blow toys, music boxes and more in a library of nearly 13 GB. It even contains samples from the collection of Musée des Art Décoratifs that has antique musical artifacts. Electric Toy Museum is a library that contain 97 vintage music toys including Style-o-phones, speech and development toys, organs, music toys, mini samplers, drum machines and more. Again, all captured at 24-bit 96kHz. You will find sonic blips and speaker glitches from these gizmos that totals a massive 7 GB library with over 1000 presets (more than 14,000 samples in total). There’s plenty of great and original ounds to be found in these libraries. Especially if you’re into electronic music. But also for the odd pop and EDM sound effects. Supported Formats are: Audio Units, RTAS, AAX, VST and Stand-alone. They are available in 32 and 64-bit for Mac OS X 10.7, 10.8, 10.9 and Windows 7 and Windows 8. More information on Complete Toy Museum can be found on UVI’s website. Normal price is $499 US but with the current 40% discount you only pay $299.